The company was set up in early 2010 by John Landell Mills and Rod Scott to develop and commercialise superior varieties of potatoes bred using advanced GM technology. This initiative had, and still has, two main drivers. First, the acute global need for new potato varieties with much improved disease and pest resistance combined with other traits of potentially great value to potato growers, processors and consumers. 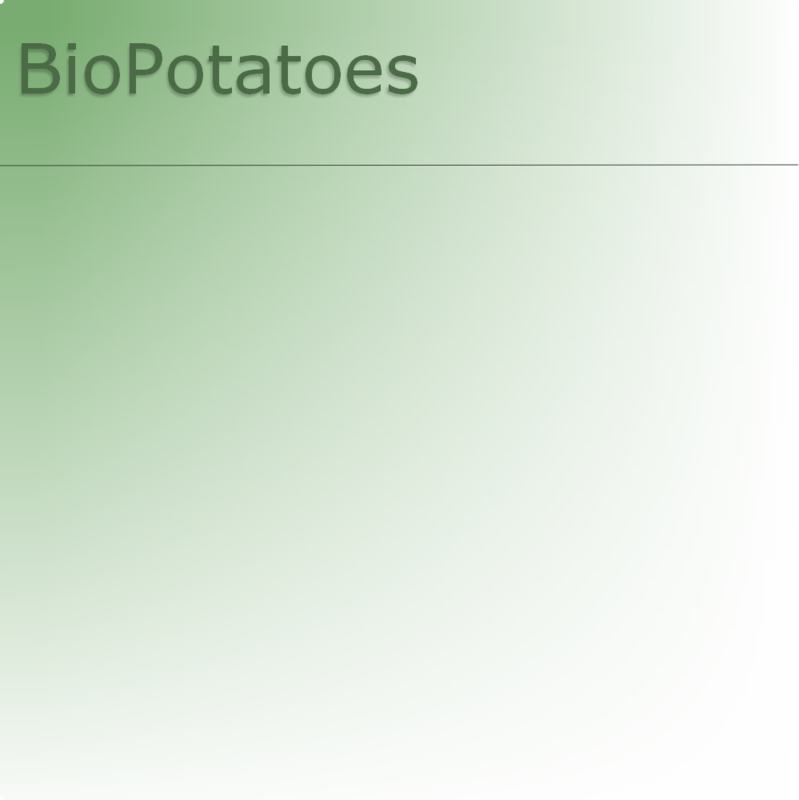 Second, the decision of the large companies involved with crop biotech not to include potatoes in their R&D programs. Jeff Hooper has recently joined our team as Chairman. Whilst CEO of Twyford Plant Laboratories in the 1980-90s Jeff established a molecular genetics lab on the Cambridge Science Park to research potato modification as part of a contract with a leading potato processor. Twyford also worked on mini tubers. Twyford was funded by venture capital, and Jeff was involved in raising over $25m prior to the sale of the company to Kirin Brewery and British American Tobacco. Prior to that Jeff was MD of a Nickerson seed business with responsibility for potato trials. Nickersons were agents for the leading Dutch seed potato firm ZPC at the time. In recent years Jeff has managed the largest UK cut flower producer and a number of other successful ventures. John Landell Mills started a number of highly successful agriculture and natural resources-related ventures (see www.landell-mills.com and www.lmc.co.uk for further information). He played a role in establishing the Scottish salmon farming industry and in the transformation of the global date palm industry by pioneering the development of date palm micropropagation. JLM also has extensive journalistic experience having worked for Farmers Weekly, written a column on agriculture for the Financial Times and been a regular contributor to the Sunday Times and the Economist. He also has useful political links as a former senior member of the Liberal Party HQ staff and in various roles with the Liberal Democrats since. He also has long-standing links with policy makers in Brussels and in Russia (where his company managed an 800 ha potato farm and has been involved in many other projects). Rod Scott was recently appointed head of the highly-rated Department of Biology and Biochemistry at Bath University where he has been a professor for several years. Rod has a PhD in plant genetic engineering and has worked extensively with the plant biotechnology industry, including with Nickerson Seeds on artificial male sterility systems and Syngenta on wheat improvement. He developed novel IP that increases seed yield in crop species; two systems have been licensed to two major international biotechnology companies. He has led the recent creation of the Crop Innovations not-for-profit venture which aims to upgrade a number of under-utilised seed-bearing crops. He also takes part in public engagement with science by chairing the Bath Science Café and other activities. Our chief adviser on potato agronomy is Dr Peter Harkett who was previously Chief Agronomist for McCains. He is widely known and respected in the potato industry for his experience and knowledge of potato production in both the UK and abroad.